Turns out that the bobcat I heard a couple of weeks ago was most likely a fisher cat. My neighbor saw one crossing the street this morning and immediately fired off an email to let me know. And it clicked, because Suldog had raised this possibility in his comment to my post. Apparently fishers make that haunting sound during mating season, though they’re also know to make it when they’re trapped or attacking. No bobcat, then, but pretty wild anyway! I’ve signed two petitions in the last two days. One for allowing chickens in Cambridge, Mass. (there’s a blog article about it here, and the petition is here). The other for allowing the sale of raw milk by a dairy farm in Framingham, Mass (about raw milk in Massachusetts, click here, and here, and to sign the petition, click here). There’s a Food Revolution and I’m on it! They are: Black-Capped Chickadee, Tufted Titmouse, Rose-Breasted Grosbeak, Downy and Hairy Woodpecker side-by-side, female Northern Cardinal and Red-Breasted Woodpecker (photo taken yesterday). 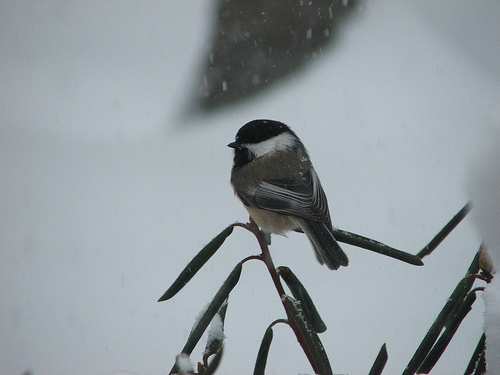 I like the first two because of their wintry atmosphere: the birds seem cloaked in the snow-laden sky. 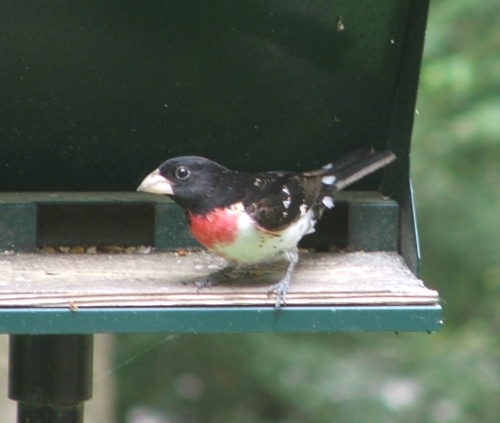 The Grosbeak was such an exception at my feeders, and I love the color of his breast. The Hairy Woodpecker (the large one) is so darn ugly; even his eye looks scruffy! But it was great to see the two kinds side by side. 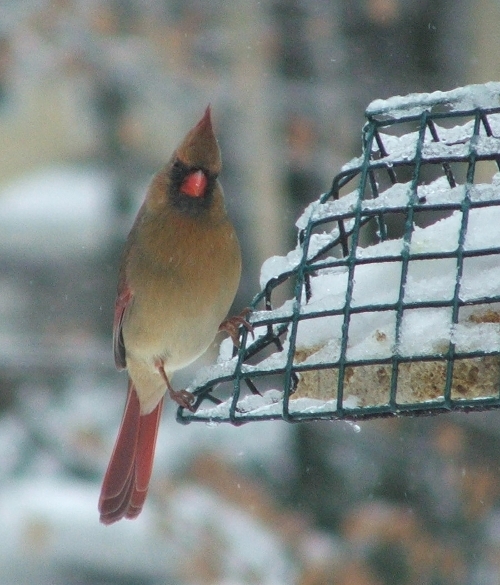 The female Cardinal gives us such a stern look, and look at the soft colors of her belly. And that last picture is just so vivid. Ooohh…rose breasted grosbeaks are my favorite bird. Those are lovely pictures! Good luck with the chicken issues! I clicked through but it looked like the petition was for residents only. Oh well. We here in my little Chicago suburb are just starting to organize to try and change our chicken ordinances. Hopefully things will change soon! I sincerely wish you well with the chickens and raw milk. It seems more and more folks around the country are demanding their rights for these things, so hopefully the tides will change. Great feeder shots. What kind of camera to you have? I love them all. I don’t have a favorite, and I could actually make an argument for all of them … I am kind of partial to the cardinals, though, because where there’s a girl, there’s a boy nearby. I like that they have partners. 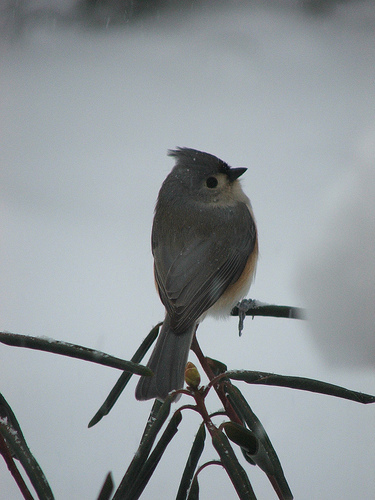 Of course, we LOVE the chicadees (Maine state bird), and I just think the titmouse is adorable. Good luck with the petitions. Both are becoming pretty hot issues around the country – probably in response to things like the movie Food, Inc, but I think it’s about time, and I feel very fortunate living where I do that neither of those issues is against the law here. 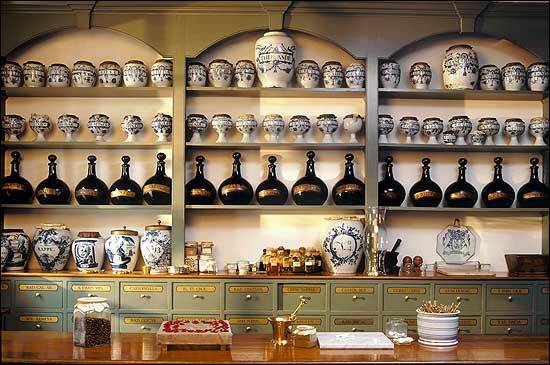 I don’t know if you read The Complete Patient Blog, but they have an interesting post on raw milk wars here. Not sure if their strategy would help you in Massachusetts, but it might. 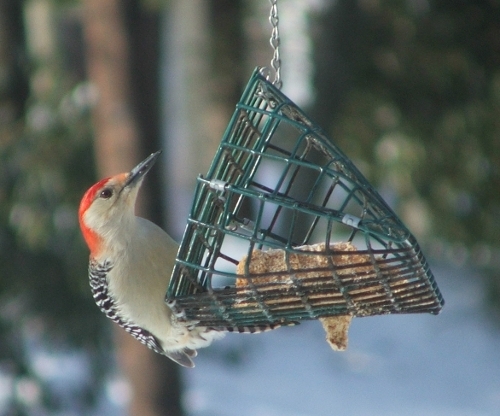 Regarding favorite feeder birds in the winter, we particularly like the nuthatches and woodpeckers!